Pat Rabbitte announced that an independent commission will examine the possibility of putting high-voltage power lines underground instead of on large pylons. COMMUNICATIONS MINISTER Pat Rabbitte has announced that an independent commission is to examine whether high voltage power lines can be placed underground in a bid to quell public concern over the erection of large pylons in parts of rural Ireland. An independent commission, chaired by former Supreme Court judge Catherine McGuinness, will investigate the possibility of placing electricity power lines underground as opposed to on large pylons across parts of the countryside in the west, south and east of the country. These plans have been met with strong resistance in recent months by local opposition groups, some of whom have committed to running on their opposition to overhead lines in May’s local elections. The independent commission will include experts such as the former chairman of An Bord Snip Nua Colm McCarthy, the ESRI’s John FitzGerald, Professor Keith Bell from the University of Strathclyde, and Karen Foley from UCD. Under the plans announced today the independent commission will examine the Grid Link and Grid West projects and the potential of placing high voltage power lines underground. The government says that the study on undergrounding will be required to be similar to overhead options for the two projects for comparative purposes. A statement said the final reports of both options will be published side-by-side before the next stage of public consultation is held. The process is likely to take around 18 months with Communications Minister Pat Rabbitte saying this puts the issue of Eirgrid applying for planning permission beyond the original 2016 deadline it had set. “I’d be surprised if we had reports by the end of the year,” he said today. Following the announcement, Eirgrid also announced it would conduct its own “comprehensive underground analysis” of the two projects and said it will work with the independent expert panel to review all options before moving to the next stage of development. The company also pledged to address concerns about tourism and agriculture. “This major and important infrastructure programme is vital to the economy and we must do everything we can to address the concerns of communities and gain their support and trust.” said EirGrid Chairman John O’Connor. The company’s plans to overhaul the State’s electricity transmission network with a €3.2 billion investment programme called Grid25 will see the construction of 800 kilometres of new power lines and the upgrading 2,000 kilometres of existing lines – doubling the size of the electricity grid. But the plans for projects running from Cork to Kildare via Wexford (Grid Link) and from Mayo to Roscommon (Grid West) have been the subject of huge controversy and opposition from local groups who are against overhead pylons. Rabbitte added that the cost of the panel would be borne by Eirgrid and denied that he was bowing to political pressure ahead of May’s local elections or that any intervention by the Taoiseach or Tánaiste’s had led to the establishment of the commission. He has also committed to take questions on Grid 25 policy issues in the Dáil. 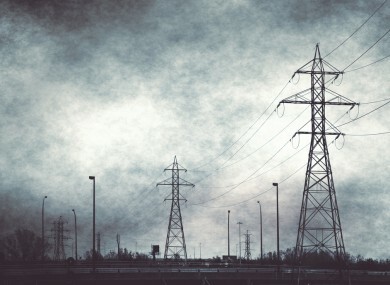 It’s also been announced that Environment Minister Phil Hogan will engage “expert assistance” on the potential health effects of the electro-magnetic fields emanating from pylons. Currently Eirgrid is still working through the substantial number of submissions it received in relation to the Grid Link project as part of the public consultation, a process likely to continue until July. Explainer: What’s happening with electricity pylons and why is it such a big issue? Email “Could controversial power lines go underground? The government wants to find out ”. Feedback on “Could controversial power lines go underground? The government wants to find out ”.